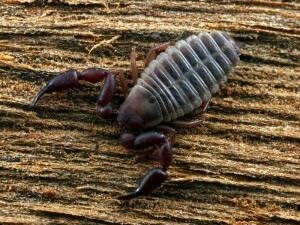 As the name suggests, Pseudoscorpions are also known as False Scorpions. As soon as the word “scorpion” is mentioned, people automatically think of some nasty creature with a bad temper and a vicious sting, but Pseudoscorpions are far from such a creature. Being on average 5mm long and rarely growing to a length of more than 10mm, Pseudoscorpions go about their lives without drawing too much attention to themselves. Pseudoscorpions are Arachnids, as are scorpions and spiders. Their bodies are made up of a cephalothorax, which is basically a head and thorax fused together, and an abdomen. They have four pairs of legs and usually one or two pairs of eyes, although some species have no eyes at all. As with scorpions, the pedipalps have evolved to become pincers for grasping prey and defence, but unlike their cousins, they lack a stinging tail, instead injecting their venom via the pincers. Their diet solely consists of small insects and other small arthropods. 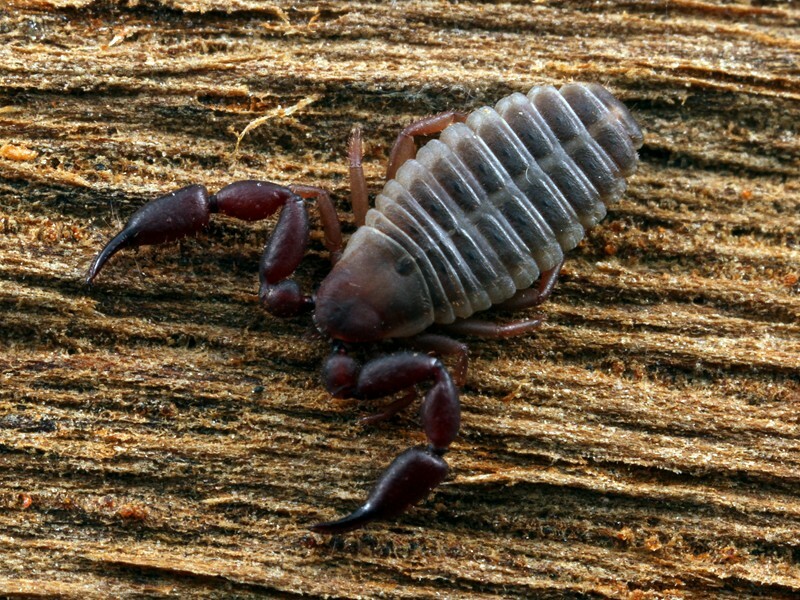 The venom breaks down the victim’s body tissue, making it easier for the Pseudoscorpion to ingest its meal. But don’t worry, they are too small to cause any harm to a human. The life cycle of Pseudoscorpions is fairly straightforward, although the initial courtship ritual can be somewhat complex in some species. The successful male leaves a stalked spermatophore (a capsule containing sperm) for the female to walk over and take up into her body. When she is ready, the female lays up to four batches of as many as 30 eggs, which she carries with her until they hatch. The young are basically the same in appearance and become full adults after three moults. Adults can live for as long as six months to two years. Pseudoscorpions are found over most of Australia. They prefer the seclusion and safety that can be found in leaf litter, under bark or under rocks. 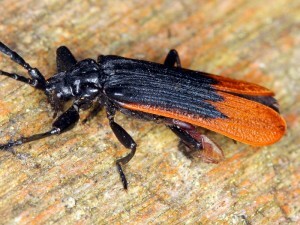 At present there are approximately 150 species described in this country, but the actual number is undoubtedly higher.